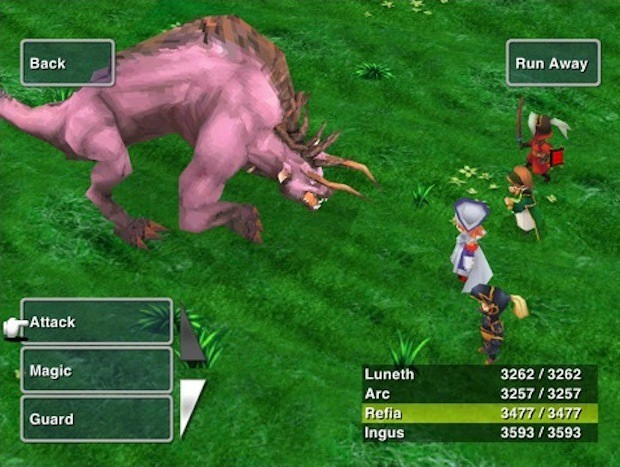 If you’re an iPad owner who is a fan of RPG’s and retro Square games, kiss your weekend goodbye: Final Fantasy 3 for iPad has just been released. The iPad version comes a month or so after the same title was released for iPhone, and can be downloaded now on the iOS App Store. Oddly enough, Square didn’t combine this with the iPhone version to make a universal app, so if you bought the iPhone version you’ll need to get the iPad version again, and vice versa. Maybe universal support is coming though. Square has been busy porting popular oldschool games to the iOS platform, focusing on many of the fan favorites including Secret of Mana, Final Fantasy I, 2, and 3 (everyone is still crossing their fingers for Chrono Trigger). Want to play FF3 on your TV? No sweat, grab an iPad 2 video mirroring cable and you’ll have an iOS TV game console, or if you have a jailbroken iPad or iPhone 4 you can enable video mirroring on those devices too with a simple hack.